These Pumpkin Caramel Apple Muffins epitomize all of your favorite flavors of fall! 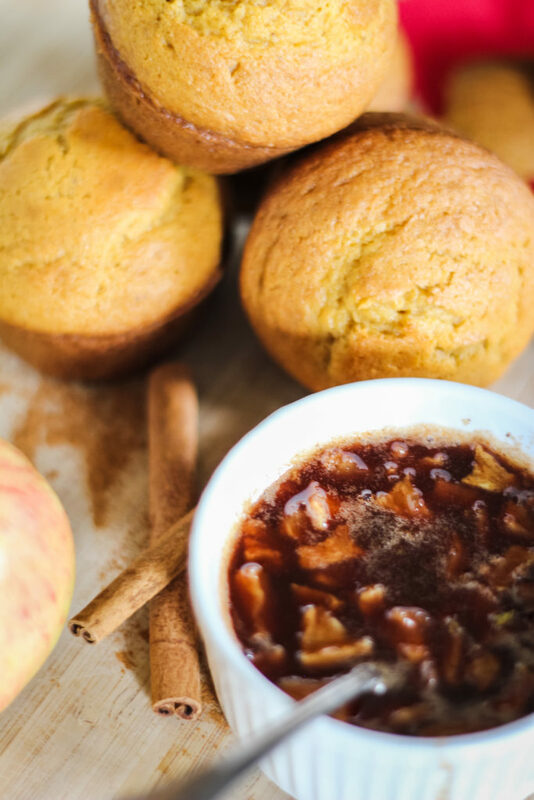 Drizzled with an irresistible Apple Cinnamon Glaze, we’re sure you’ll agree, you need these muffins in your life! 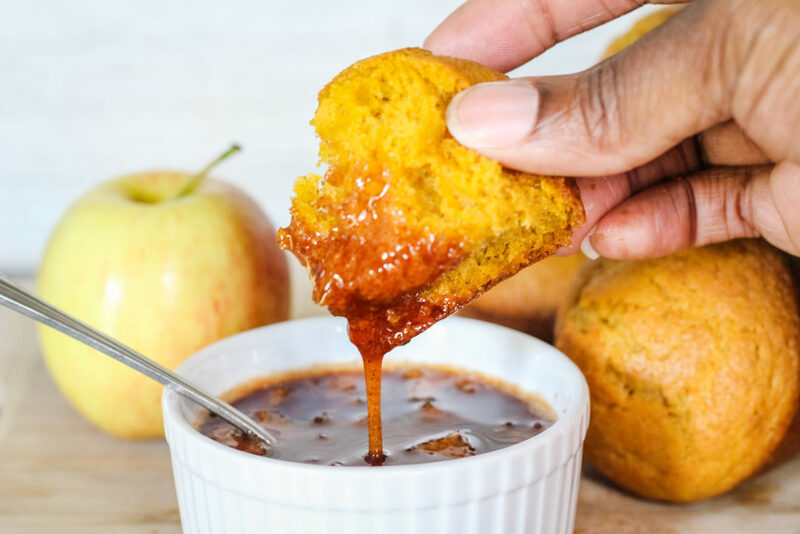 Hi there, I’m Natasha from Lovely You Blog and I’m sharing this amazing fall flavor recipe because it’s fall y’all! 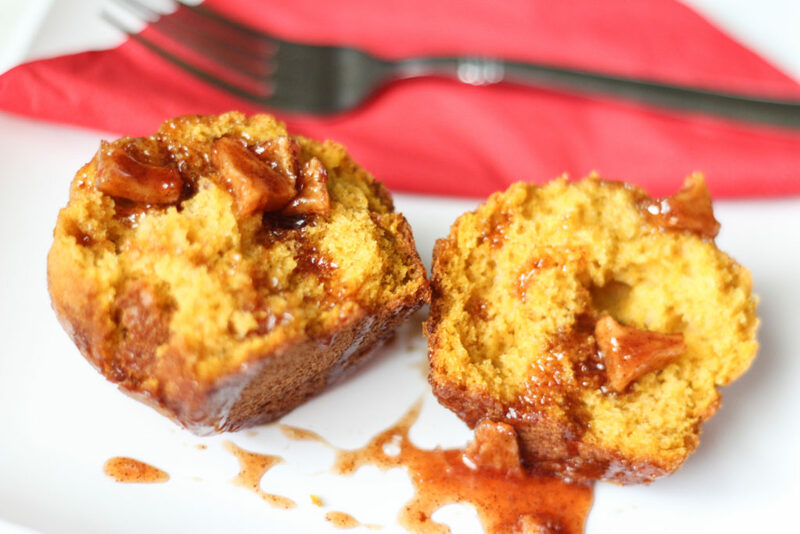 Keep reading because you will want to bake these Pumpkin Caramel Apple Muffins again and again. Since I’m teaching our kids more and more about cooking, they joined me in the kitchen while putting together this recipe. We talked about knife safety and dicing while preparing the Apple Cinnamon Glaze. Not only is this recipe perfect for fall, but it is also perfect for little helpers. The recipe is definitely kid approved since they have literally eaten these Pumpkin Caramel Apple Muffins for breakfast the past few mornings after I made them. Even I could just curl up with a good book by myself with a cup of coffee and devour one. These muffins are the perfect sweet with sugar, pumpkin, and lots of spices! To add in the caramel flavor, I simply added in sweetened condensed milk. Did you know if you heat sweetened condensed milk, it turns into caramel? Yes indeed! I use this for making caramel pies around the holidays as well. 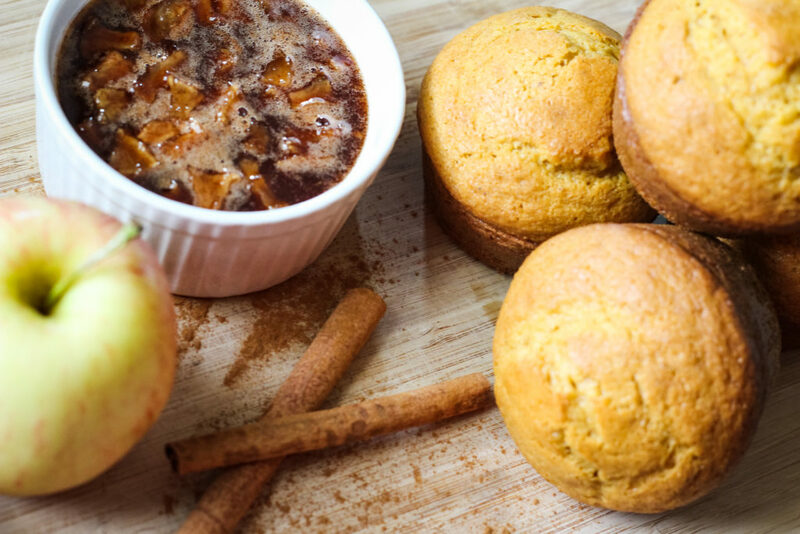 The Apple Cinnamon Glaze gives these muffins an extra punch if you like more sweetness. You can drizzle a little, or a lot, of the glaze atop of the muffin or use it as a dipping sauce; whichever you prefer. Heat oven to 375°F. Grease or line with paper baking cups a 12 regular-size muffin pan. Use your choice of shortening or spray. In medium bowl, add sugar, oil, and eggs. Mix together using a wire whisk. Then stir in pumpkin and condensed sweetened milk. Add remaining muffin ingredients, mix until well blended. Evenly pour the batter into the muffin pan. Place in oven and bake for 16 minutes or until toothpick inserted in center comes out clean. Immediately remove from pan and allow to cool. Place ingredients in a saucepan over high heat and bring to a boil. Simmer for 10 minutes, stirring constantly. Remove from heat, transfer to a bowl, and allow to cool. 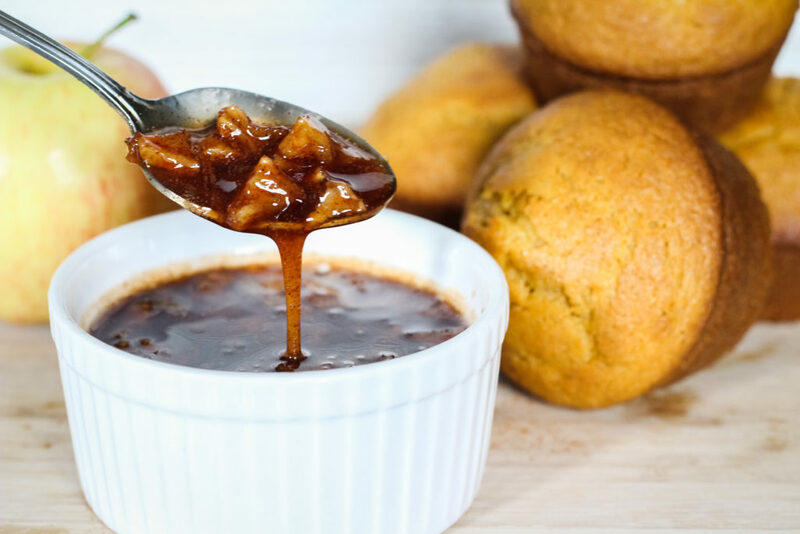 Home Chef Tip: You can use a food processor to achieve a smoother texture or put the glaze through a sieve so you are left with the apple cinnamon flavored glaze without the actual apple pieces. 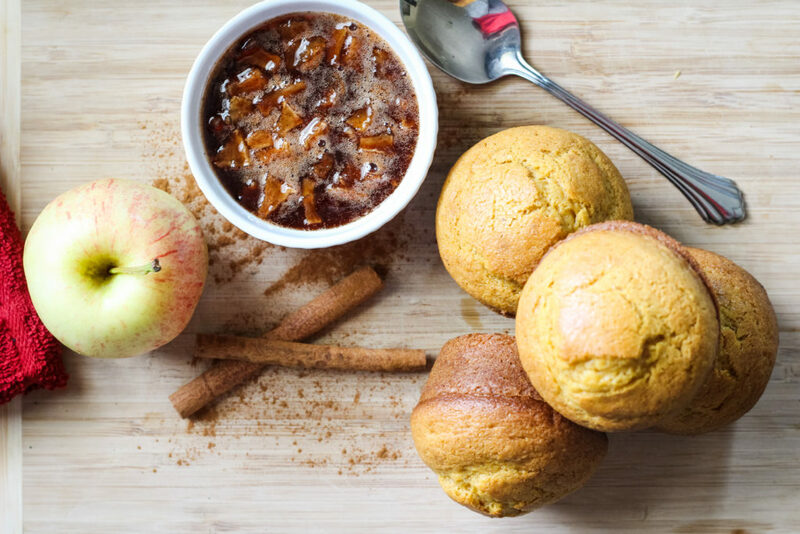 We hope you love these Pumpkin Caramel Apple Muffins from SoFabFood Home Chef, Natasha from Lovely You Blog, as much as we do. If you love this delightful recipe, stop by our Breakfast section to find more like it. For daily recipe inspiration, subscribe to our newsletter, like us on Facebook, and follow us on Pinterest. Enjoy!